Throughout a season there’s always a prospect or twelve that suit my fancy in dynasty. In deep leagues you might find them useful for pick ups and watch lists. I’m a sucker for love, and so I’ll share it. Let me introduce you to the players who have stolen my heart, or at least caught my eye. You just follow your heart, and find yourself someone to love. Maybe more than one; it’s 2018, you do you. One final note on Paddack, he is, after all, a pitching prospect. Stuff is not the question here, but rather health is his biggest concern. Pick him up, let his stock rise, and then feel free to move him. He needs to be picked up because he’s doing elite things,but pitchingg prospects with injury concerns are only your friend until they’re not. Acquire, let his value grow, and then sell, sell, sell. The former top pitching prospect missed all of 2017 with Tommy John surgery, but has rebounded nicely. Thus far Paddack’s strikeouts and command have been elite, and he has dominated High-A hitters. He’ll be advancing to higher levels soon if he continues to strike out nearly half the hitters he faces, and he’ll be moving up prospect lists as well. The hype on the post-hype prospect is rising, so act quickly. Props to “The Talent“ Keaton O. DeRocher for bringing Jeisson to my attention on the TDG podcast! Jeisson’s feeble .063 ISO is not good. In fact, it’s very bad. While scouting reports seem to suggest he’ll grow into power (15-20 annual homers), he certainly hasn’t shown it yet. However, his elite plate discipline, speed, and age for his level make him very intriguing. Jeisson is also spraying the ball around more, whereas last year he was dependent on slapping it into the opposite field. He’s lacking power development, and if that happens he’ll be climbing prospect lists very fast. Go get him. Plate discipline and defense have been the calling cards for the Hall-of-Famer’s son throughout his minor league career. However, there has been significant growth in power this year in Double-A. We can see this not only in his home run and ISO, but also with his approach at the plate. He’s hitting the ball into the air 43.7% of the time, and he’s pulling it out of the park. The sample size is still small, and at 23 years of age, he isn’t exactly young for his level. Still, these are narratives that are preventing his ownership from increasing. Biggio’s skill set is much more attractive for dynasty owners if the power is real, particularly at middle infield. 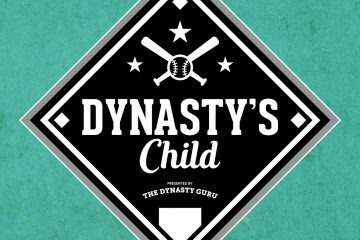 The change in approach, new-found power, and proximity to the majors make him a must-own in most dynasty leagues. Reports on his defense in left field aren’t exactly glowing, but that’s not something we need to worry about at this point in his career. He’s a risk/reward left-handed bat, with the potential to make it to the majors at the age of twenty-one. I’m all in, and you should be too. The former elite college bat has started to put up some lofty numbers for his age. Tirso is a long-term investment, and actually is similar to his teammate Jeisson Rosario. They both have elite plate skills, but neither has shown the power that scouting reports indicate they will grow into. However, Tirso is among the youngest players in his league. 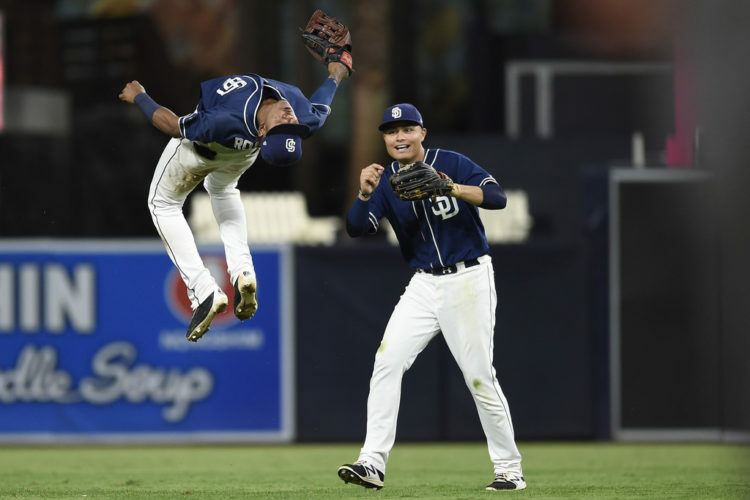 San Diego’s stockpile of high upside teenage prospects is absurd. While his performance is not wowing, the plate discipline and the projection for plus power make Tirso an attractive add to your farm. Again, patience will need to be executed to see the payoff here, but the potential for an increase in value is tremendous. While he’s listed here as a player to watch, I’ll be adding him in 16+ leagues. The first thing to note about Cruz is that he’s a giant human playing shortstop, and apparently he’s doing a decent job at it thus far. What we really care about, however, is his ability to gain value in dynasty leagues. There’s certainly potential for that in his profile! The young giant underperformed last year, hitting 10 home runs over the course of the entire season. In 2018 he’s already clobbered half of last year’s total while sprinkling in a bit of speed as well. Cruz is showing great patience at the plate, but he’s also swinging his gargantuan arms at too many pitches. His batting average is currently .264, but I’d expect that to come crashing down. If he can improve his contact and cut down on the strikeouts he’ll warrant being picked up. Smith is known primarily for his defense, but he put up a .195 ISO in his first year in professional ball. The power isn’t exactly a surprise- his swing was projected to produce at least average power before he was drafted. That swing, however, isn’t missing all that much nowadays, as he’s dramatically cut down on the strikeouts. Along with plate discipline and power, there’s the potential for some speed as well. Smith has already equaled his stolen base total from last year. Most reports indicate that he’s getting good reads and jumps on pitchers rather than relying on his wheels. We’ll see how that develops throughout the season, but for now, it could equal a handful of steals at the major league level. Sidebar: Toronto is just loaded with position players! This farm feels underrated. Catching prospects are weird. That being said, there’s potential here that Wong is breaking out. Thus far he’s been crushing High-A with a .302 ISO. A slight problem is that he’s doing this in the CAL league, and we’ll want to see continued success elsewhere to know the true level of his talent. 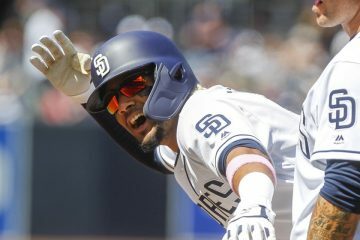 The Dodgers have already started moving him around the field, and thus the young catcher can tantalize owners with the potential of multi-position eligibility. However the C next to his name is what really matters, and any catcher power and speed tools that Wong has displayed are worth monitoring. Thanks Patrick, always enjoy these. Just a note that Rosario is in the Padres system, not Twins as listed above! Glad you enjoyed it, and thanks for catching the error! I’m sure I’ll be writing another one of these up, especially as we continue to debate prospects on the podcast.